This edition of our monthly bulletin brings you insight into EUDAT’s plans for the coming three years, including the development of various policies and business models, as it works to create a sustainable pan-European Collaborative Data Infrastructure. 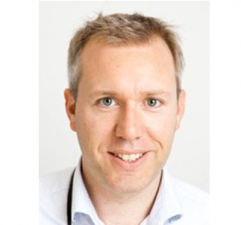 We also highlight the upcoming events where you can meet EUDAT, including May’s EGI 2015 conference in Portugal. 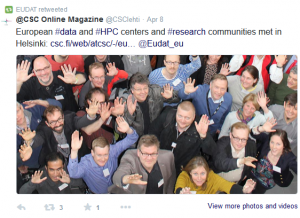 Finally, we present the best of EUDAT on social media over the past month. 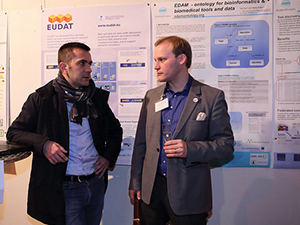 Damien Lecarpentier, EUDAT’s Project Director, explains EUDAT’s priorities for the next phase of the project. In the coming months, the focus will be on consolidating our existing services and on developing the necessary policies and business models, as well as the organizational framework, which will make it possible to provide EUDAT services in a cost-efficient and sustainable way. The next month will be a busy one for the EUDAT team. We're organising workshops, presenting posters and giving training at no less than three events across Europe. This is an ideal opportunity to come meet us and find out more about the project. Over the past month, EUDAT’s social media channels have been buzzing about our recent meeting in Helsinki, when all project partners came together to kick off the next three years of the project. We were also pleased to see that the EUDAT community liked the look of the newly redesigned EUDAT website!